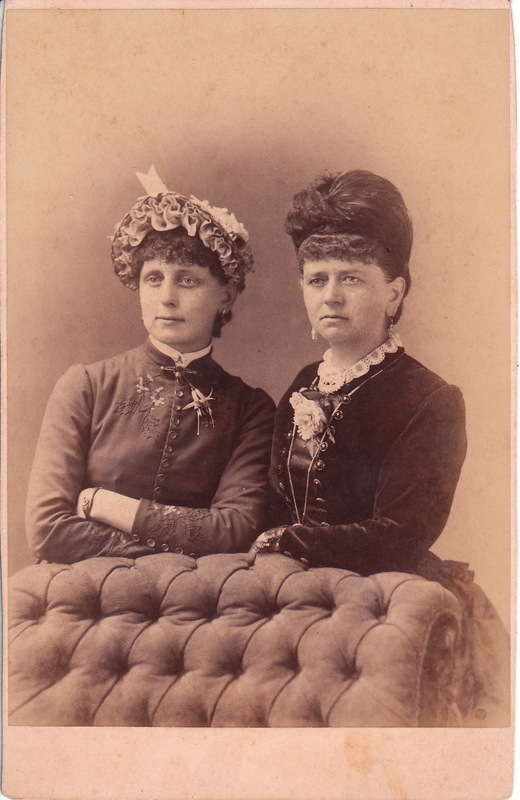 This Cabinet Card photograph captures two angry sisters posing at McKinnon’s Portraits, in Jacksonville, Illinois. These sisters do not seem happy; in fact, the sister with the darker dress is displaying quite a scowl. Writing on the reverse of the card indicates that the women are sisters. Their names are Mrs Annie Knight of London, England, and Mrs Agnes Jackson of Jacksonville, Illinois. Perhaps the woman are in conflict, or are just having an aggravating experience at the photographic studio. The women are beautifully dressed for the taking of the photograph and wearing flowers to enhance their appearance. 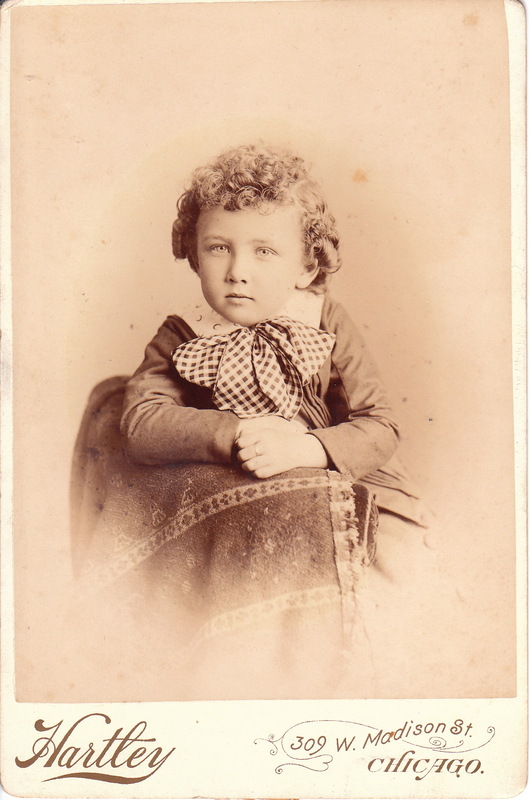 A very cute child is photographed for this cabinet card by Hartley of Chicago, Illinois. The child appears to be a boy with incredible curls. He is wearing a very large bow tie, or ascot. Edward F. Hartley (1847-1887) was born in Wadsworth, Ohio; and became a photographer is Jacksonville, Illinois in 1873. In 1876 he moved his trade to Chicago and was quite successful in establishing a business. A photographic journal of his time reports that he underpriced his photographs and as a result, he was not included in many professional photographic associations and won few awards for his work. To view additional photographs by this photographer, click on the category “Photographer: Hartley”.